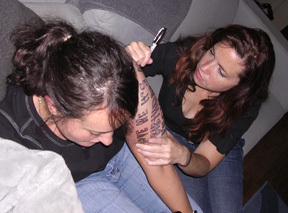 One week ago saw the inaugural STP 2006. 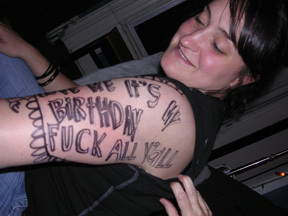 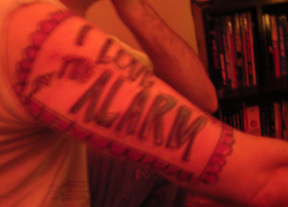 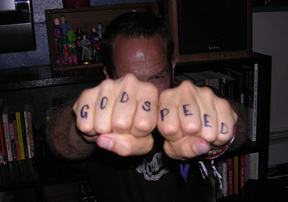 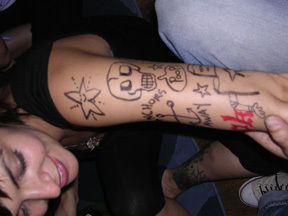 The acronym stands for Sharpie Tattoo Party, and the creator credit has to go to Mr. Gary Ashley of Hoboken NJ. 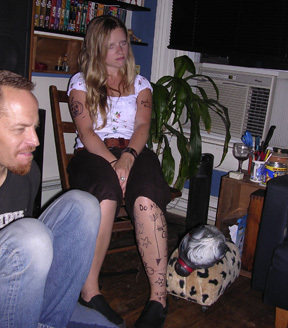 Following a long night at the bar, a handful of us retired to my apartment where the mug of Sharpies was busted out and everyone’s flesh became canvas. 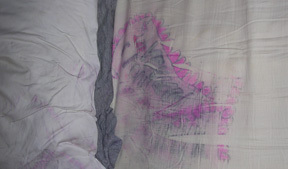 But what all of us didn’t realize until the next morning is that while Sharpies may not be permanent on your skin.... they are on your sheets.